Find here the best Heydudeshoes.co.uk coupons and vouchers. The official UK/Western EU distributor of Hey Dude shoes, the brand has seen massive growth over recent years from returning customers and word of mouth all lead by the comfort and durability that the shoes provide. 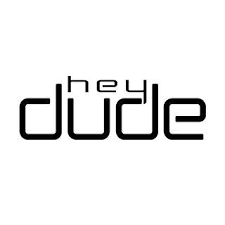 Hey Dude was one of the first in the UK to use memory foam insoles and this is only part of the reason for their comfort, Hey Dude shoes use no metal parts in their shoes and utilize EVA soles to further improve the comfort to the user. The combination of these two key elements create super light comfortable shoes. There are dedicated styles for men, women and kid’s from laid back summer styled canvas shoes, to fur lined waterproof leather boots. Hey Dude shoes make living easier step by step whatever the environment. They will change your attitude to life, in play, at work and after sport. Defy convention with the funkiest comfiest shoes straight out of the box!